Cupboard housing hot water cylinder with immersion heater. Further shelved storage cupboard. Emergency call unit. Triple- glazed patio door giving private access to outside paved patio area and communal gardens, with matching full length triple glazed side screen with top window opening. Electric radiator. Television point. Telephone point. Emergency pull cord. Fitted with a matching range of base and wall cupboard units with roll top work surface over and tiled splash back and incorporating one and half bowl stainless steel single drainer sink units. Inset four plate electric hob with extractor over and built-in electric oven under. Space and plumbing for washing machine. Space for fridge/freezer. Wall mounted glass front display cupboard with drawers and open shelving to either side. Triple-glazed window to rear aspect over the communal gardens. Fitted mirror front wardrobe unit with central bed recess and overhead storage. Electric radiator. Emergency pull cord. Bedroom two: 9'5" x 7'8" (2.87m x 2.34m) & door recess. Triple glazed window to rear aspect over the communal gardens. Built-in wardrobe cupboard with hanging rail, shelving and storage. Electric radiator. Matching four piece suite comprising panel bath with stainless steel mixer tap, pedestal wash hand basin, bidet and low-level WC. Heated towel rail/radiator. Shaver point. Obscure double glazed window to side aspect. Restharrow is set in communal gardens laid mainly to lawn with various flower and shrub borders, block concrete pathways and gated entrance. Residents enjoy the benefits of a Residents' Lounge, guest room and the services of a duty House Manager 9am-5pm Monday to Friday. There is visitors' parking on a first-come, first-served basis. 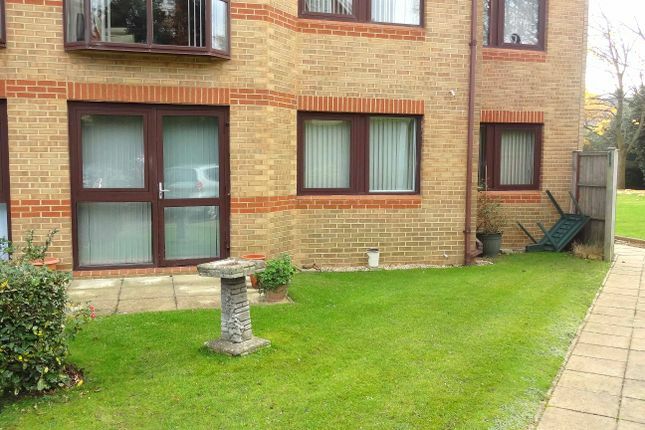 Restharrow is within east reach of Bournemouth Town Centre, has good access to local public transport routes and is close to Bournemouth Travel Exchange with Nation-wide coach and train service connections. Road access to Bournemouth Spur Road (A338) and on to UK motor way system is close by. The property is being sold leasehold on a 125 year lease from 1988.